Veteran Unemployment Reduction: Now What? For a long time, veterans struggled with a higher unemployment rate than civilians. But, after years of concerted efforts to bring former service members into the civilian working world, the rate has finally fallen below the national average. Since October, veteran unemployment has remained at roughly 3.9%, which is lower than the national average of 5%. The drop in unemployment is due to a variety of factors, but among them are major pushes from companies to attract and hire more veterans. Most of these initiatives have met their original goals and are now setting their sights even higher. For example, the organization formerly known as the 100,000 Jobs Mission, a coalition of private and public groups designed to get veterans to jobs, is now calling itself the Veteran Jobs Mission and wants to hire 1,000,000 veterans. Despite the drop in unemployment, companies and veterans still have a long road ahead of them. The first issue is that despite an unemployment rate of 3.9%, there are still many veterans that need assistance in landing a job. The fact that many companies have upped their hiring commitments is a sign that they won't be satisfied with a rate one percent lower than average. "Until every veteran who wants a job is hired, our work is not done," Ross Brown, head of military and veteran affairs at J.P. Morgan Chase, said. However, according to the Los Angeles Times, some skeptics argue that while hiring goals sound great, they're overly ambitious and don't directly address real problems. "They won't be able to hire a million veterans anytime soon," Jeffrey Wenger, a public policy expert at the Rand Corp. think tank in Santa Monica, said. "There aren't a million veterans to hire." Groups like the Veteran Jobs Mission point to the fact that roughly 200,000 service members leave the military each year as an indication that one million new veteran hires should be possible in a matter of years. 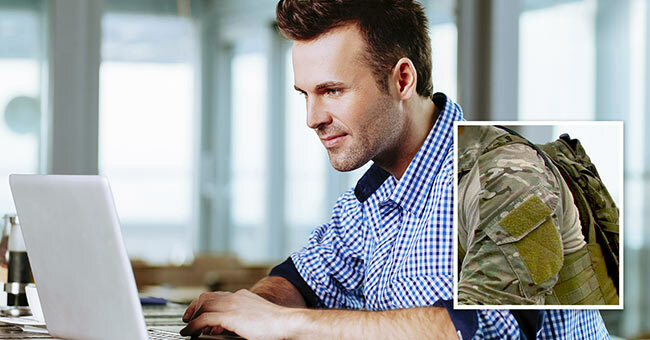 According to Greensoboro.com, a thorough survey has revealed that although companies are great at taking veterans on, there could be a lot more effort to help them succeed once employed. According to Julia Taylor Kennedy, co-author of the report on the survey, companies might spend as much as 30% of their recruitment budgets on finding veterans, but that's where the support ends. "Companies are failing to make good on that investment. What we find is veterans get in the doors of corporations and they're either not looking to rise, what we call 'tuned out,' or 'stalled out,'" Kennedy said. Most responders to the survey reported that they're stuck with work below their skill-set, and they don't receive support from their superiors to succeed and progress within the company. Only 2% claimed that a higher-up advocates for them and paid attention to their growth as professionals. To put that in context, 19% of civilian men and 13% of civilian women reported that they feel supported in their roles. A broader concern: nearly half of those surveyed claimed that coworkers carried fallacious impressions about veterans. These usually related to their political leanings and mental state. Many civilians believe that service members and veterans support right-wing politics and that many of them suffer from PTSD. As a result, many veterans either keep their military experience quiet or simply downplay it. Beyond assumptions made by civilians, many ask tough and inappropriate questions and aren't aware of their impact. One survey participant, a former sniper, said that "you would not believe the number of times I've been asked how many kills I had." The idea that companies might run out of veterans to hire isn't much of a bad thing, but if yearly separation estimates hold up, there will be many veterans each year who will need work. But the divide between civilians and veterans doesn't disappear once a veteran enters the workplace. There are still many misconceptions about veterans, as well as a gap in understanding in those that employ them. Although veterans have been steeped in a culture that highly values self-sufficiency and initiative, companies who actively hire veterans can benefit themselves and their new employees by learning how to better support them once they enter the workplace.